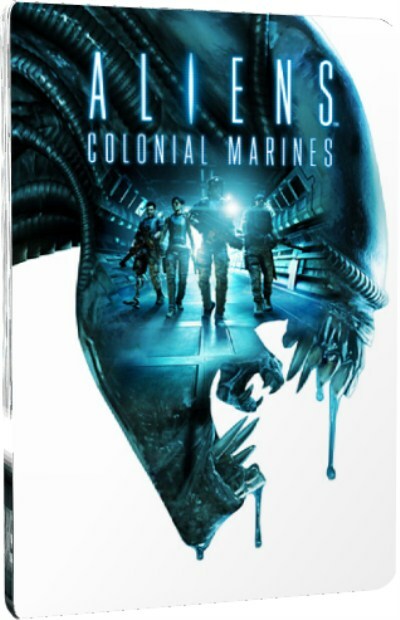 In Aliens: Colonial Marines you play the role of one of four members of the squad of colonial marines U.S. and encounter alien attack. To destroy the enemy at your disposal will be a classic collection of weapons, ranging from pulse rifles, flamethrowers and finishing, as well as a completely new weapon. 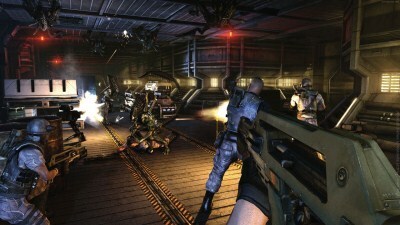 Aliens: Colonial Marines - team first-person shooter, in which there is a single and co-op game modes.
" Fight with alien creatures, using the whole range of colonial marines from the cult film James Cameron's "Aliens" - pulse rifles, motion detectors and flame-throwers.
" You will visit the famous ship Sulaco and stroll through the cramped corridors of the colony Hadley Hope on the planet LV-426. There you will have the full feel the spirit of dark and dangerous world where your life could end at any moment.
" Developers from Gearbox knows how to make an interesting co-op mode, and Aliens: Colonial Marines is reflected all their experience. You can always ask for help from other players. Complete the campaign scene side by side with your friends in the squad of up to four fighters, each of which can be connected to the overall game and leave it at will.
" To deal with the alien threat, you have to become a ruthless and deadly machine, relentlessly destroying strangers. The extensive system of improvements in Aliens: Colonial Marines will develop a character exactly as the favorite style of play. Earn experience points to gain new abilities, weapons and equipment for the soldiers of his unit.